Popular Hollywood actor Charlie Sheen, known for his role in Two and a Half Men is all set to reveal to the world that he is HIV positive. According to a report by NBC News, Sheen is expected to make a revealing personal announcement in an exclusive interview on Tuesday with Matt Lauer. Further details on the subject are awaited. 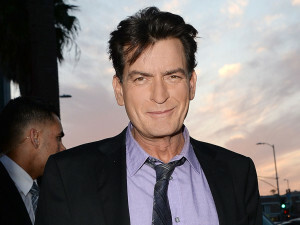 50 year old Charlie Sheen, who in 2011 lost his role in Two and a Half Men chose to stay out of spotlight after FX did not renew his recent show Anger Management in 2014. While Sheen had been going through a rough patch on the professional front, things were not great in personal life either. It was announced in October 2014 that Sheen allegedly broke up his 8 – month engagement with adult star Brett Rosi. In light of the shocking news, Sheen’s ex-girlfriend Bree Oslon took to micro-blogging site Twitter to vent her frustration regarding the HIV testing process, which she had been undergoing. “Recorded myself for half an hour being tested for HIV and getting the results. This is so stressful,” 29 year old Oslon, tweeted. According to top Hollywood publicist Howard Bragman, Sheen’s going public and revealing his condition might garner some sympathy from Oslon and a few others from the film fraternity but might open him to law suits from women he had been associated with in the past.